Deluxe Light Up Flutterbye Fairy - Rainbow $29.67 + FREE Shipping with Prime! You are here: Home / Great Deals / Amazon Deals / Deluxe Light Up Flutterbye Fairy – Rainbow $29.67 + FREE Shipping with Prime! Deluxe Light Up Flutterbye Fairy – Rainbow $29.67 + FREE Shipping with Prime! Head over to Amazon and get the Deluxe Light Up Flutterbye Fairy – Rainbow for just $29.67, down from $39.99. This is one of this year’s top toys! Shipping will be FREE with Amazon Prime or an order of $35 or more. Flutterbye Fairies can really fly and now they even light up the sky! Magically control her graceful flight as she floats over your palm. Flutterbye Fairy’s beautiful dress is now enhanced with a dazzling display of magical rainbow light. 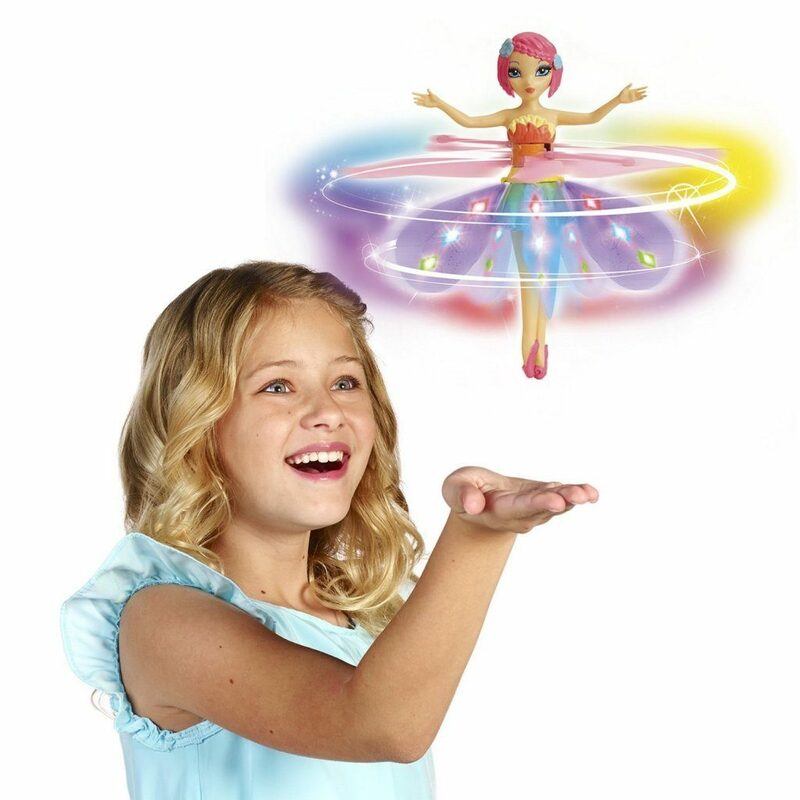 Just give your Flutterbye a gentle whirl to see rainbow lights and skirts that twirl! Your Flutterbye Deluxe Light Up Fairy rests up between flights on her decorative charging base and easily relaunches with just the touch of a button. Flutterbye Deluxe Light Up Fairy is for ages 5+ and requires 6 AA batteries (not included) to charge the decorative base.